Father and kids perform adorable cover of Depeche Mode's "Everything Counts"
(CBS) - I remember going to see Depeche Mode's "Devotional Tour" back in 1993 and just being blown away. Now the above video may not be as impressive as seeing the legendary band live in concert, but it's still definitely very cool and cute. Check it out. There's just something so compelling and heart-warming about seeing this family performing together and having such a good time, much like the father-daughter duo we fell in love with previously, Jorge and Alexa Narvae. 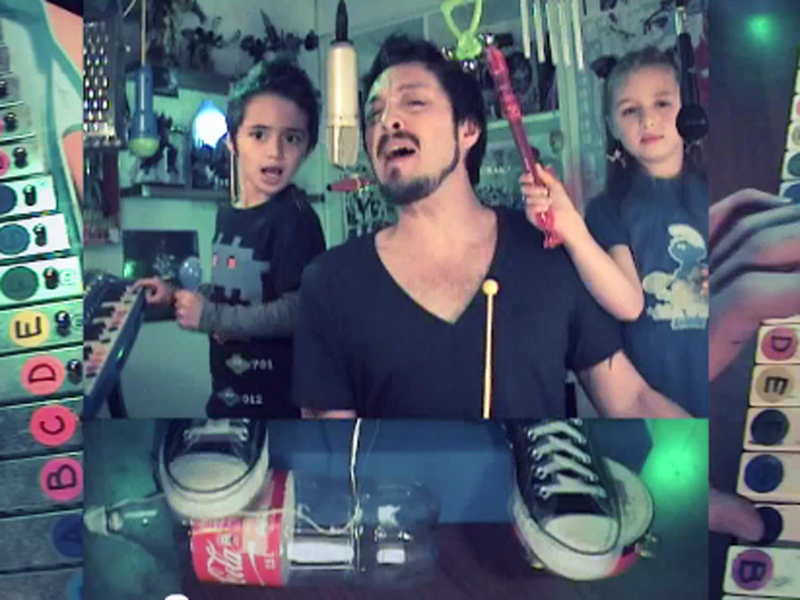 The music video cover of "Everything Counts" was posted by cool dad Dicken Schrader, who has more music with his kids you can check out by clicking here.